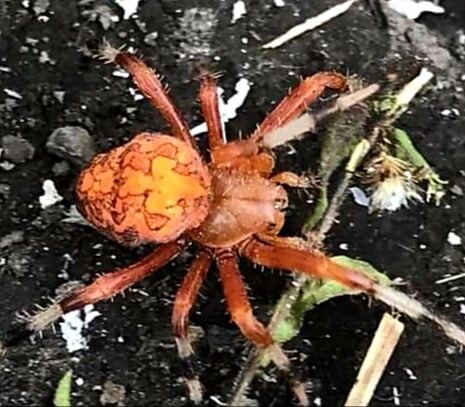 She looks like a Hentz orbweaver, Neoscoma crucifera. Her abdomen is wrinkled, she probably recently laid her eggs into an egg sack. Her babies will hatch in the spring. Hi, I misidentified her. She’s Araneus marmoreus, a Marbled Orbweaver.